In a bowl, beat eggs with a spoon adding little salt. (Optional- Can add 1/4 cup milk to get more quantity). Heat 1/2 tbsp oil in a pan and add beaten egg and scramble well. Remove from the flame and keep it aside. Heat oil in a pan and add chopped garlic and green chillies and saute for a minute. Add sliced onions and saute till it turns pink. Add chopped capsicum and saute for 2-3 minutes. Add scrambled eggs and mix well. Then add the chilli sauce and tomato sauce and stir well. 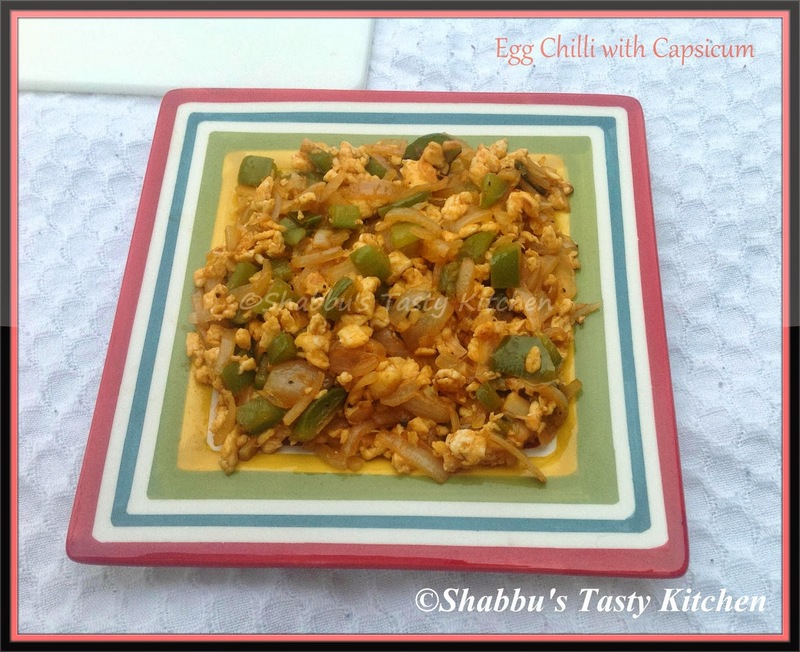 I think your egg chilli goes well with samoon as a easy breakfast for a lazy morning. Such a droolworthy egg chilli,makes me hungry.